This week marks the fifth anniversary of the first episode of Sherlock airing on the BBC. So let’s mark this momentous occasion (and try to fill the void before 2017) by visiting some of the places that are now inextricably linked to Holmes in London. That bit with the fall. Y’know, that bit. Sherlock’s apparent suicide at the end of series two still has conspiracy theorists guessing, so it’s no surprise that the scene of the pivotal moment in The Reichenbach Fall is one of the most celebrated Sherlock filming locations in London. Fans of the BBC series and the original books will also know that the hospital itself plays a vital role in the Holmes stories: it’s the setting for many scenes in the series and employer of John Watson in the books and Polly in the TV series. To find it, exit the Tube at St Paul’s and walk towards Henry VIII Gate at St Bartholomew’s Hospital. The top of the building where Sherlock jumps and the building that blocks Watson’s view are to your right. A lot of the BBC series was filmed in Wales unless they needed London landmarks in the background, but thankfully the door used as a stand-in for Sherlock’s Baker Street home is in North Gower Street, just round the corner from Euston station. Standing next door is Speedy’s, the cafe where Watson meets Mycroft in A Scandal in Belgravia. The scenes you see onscreen were actually shot inside the real cafe (unfortunately our photo above was taken on a Sunday, but they’re normally open from 6.30am during the week and 7.30am on Saturdays). 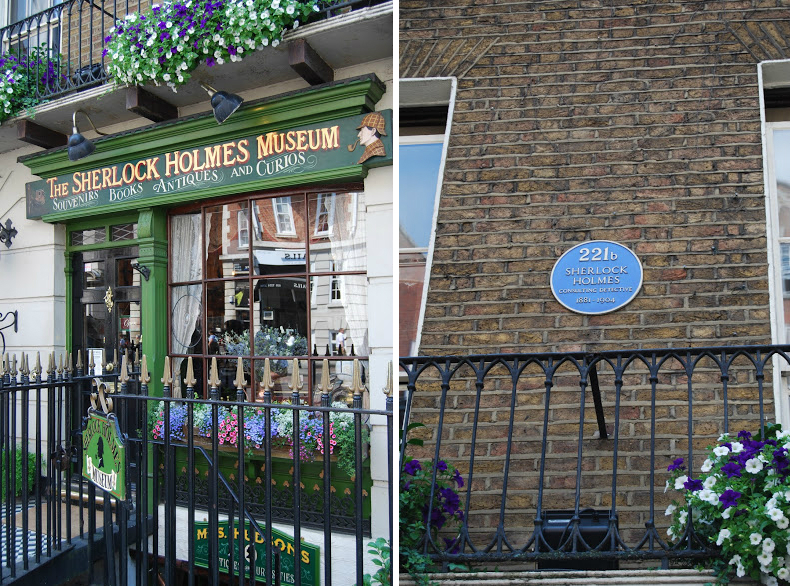 The actual 221b Baker Street is the Sherlock Holmes Museum, where you can see Sherlock Holmes’ elaborate toilet and walk around his famous study like you’re John Watson himself. 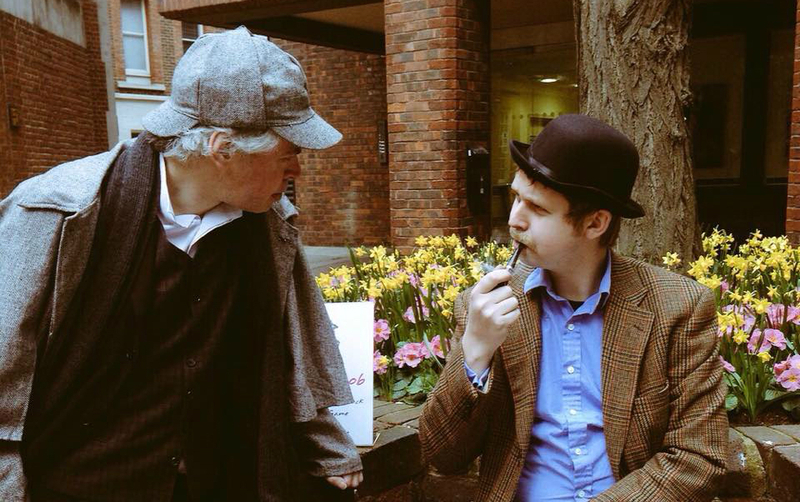 Join our very own Sherlock and Watson for a treasure hunt filled with intrigue and plenty of deduction… Starting at The Globe (The Sherlock Holmes bar) in Marylebone, you’ll explore the streets around Baker Street, meet some elementary new friends and learn about your city as your race your opponents by solving the clues. The London Library, a subscription library in central London, boasts Sir Arthur Conan Doyle on his list of previous members, as well as lots of other literary greats. For £15 a day you can read, write or study within the same walls that Conan Doyle once studied. A big Bob seal of approval goes to Sherlockology, the best source of BBC Sherlock filming locations (as well as cast/costume info and general Sherlock news) there is.